Exactly 500 years ago, the Bavarian Purity Law of 1516 (a.k.a. "the Reinheitsgebot") declared that the only ingredients allowed in beer are water, barley malt and hops. This is one of the world’s first food quality laws and greatly influenced the way beer was brewed over the last 500 years. 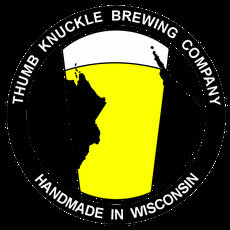 The Wisconsin Purity Order of 2016, as suggested by Thumb Knuckle Brewing Company, does not aim to replace the Bavarian Purity Order of 1516 or to constrict the use of ingredients other than those declared by the Reinheitsgebot, but rather acts as an independent and/or additional set of guidelines that help to ensure the purity of beer. The Wisconsin Purity Order of 2016 does not dictate which ingredients may or may not be used in the brewing of beer, but it does cover the other components required to brew beer. A brewery may state that they are “striving” for purity or to be “Wisconsin Pure” if they do not yet meet all criteria but are working towards these goals. Detailed information doesn’t have to be on the product, but should be available on the brewery’s website. If anyone, especially Wisconsin Brewers, has any suggestions about this, please let us know. The beer must be brewed in a way that maximizes the quality of the beer, and anything that goes into the beer or touches the beer, all ingredients and related supplies must be listed and made available for everyone to see. Every person who labors to produce the beer and all ingredients and related supplies must be treated fairly and properly. Of course, the same goes for all customers and everyone else as well. The beer, ingredients and related supplies must be produced in a way that does not negatively impact the environment. The energy used to produce the beer, its ingredients, and related supplies must be renewable and locally produced. The beer must be produced and marketed in a way that maximizes the positive impact on the local economy.